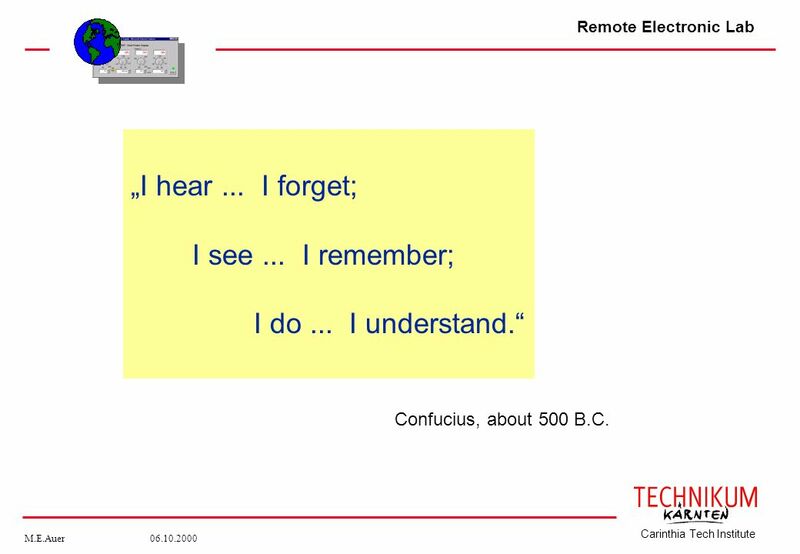 Ich höre ... Ich vergesse Ich sehe ... Ich behalte Ich tue ... Ich verstehe Confucius, about 500 B.C. Laboratory: Room or Building that is used for scientific work. 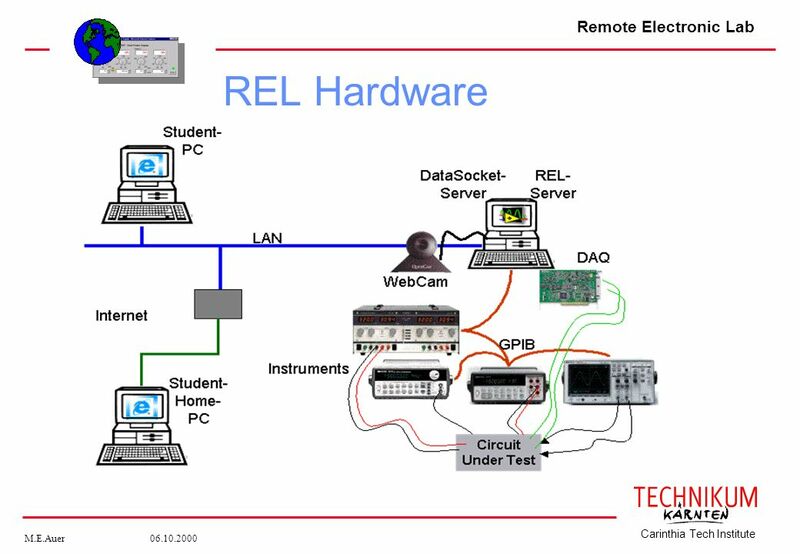 Remote Lab: The remote lab is designed to provide real-time experiments to students via the internet.. 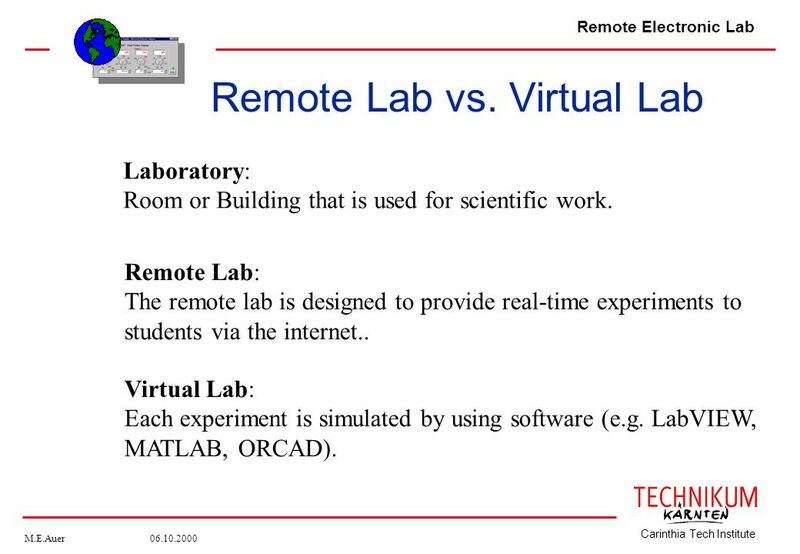 Virtual Lab: Each experiment is simulated by using software (e.g. LabVIEW, MATLAB, ORCAD). 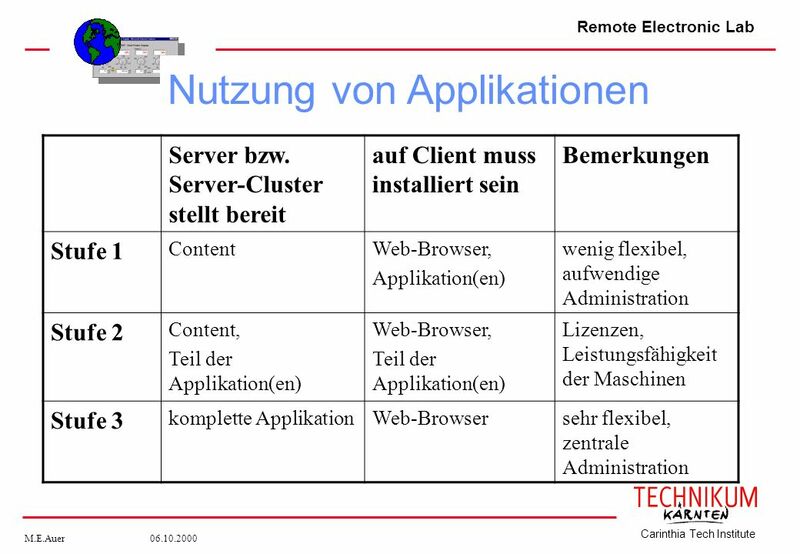 Simulation gewinnt immer mehr an Bedeutung, Grund: teure Realisierungstechniken ausserdem: meist Multiuserfähig (grosser Vorteil!)) Computer-NW, -grafik Statistik Remote Lab: Sinle user; Scheduling nötig! The students can login from any place of the world. 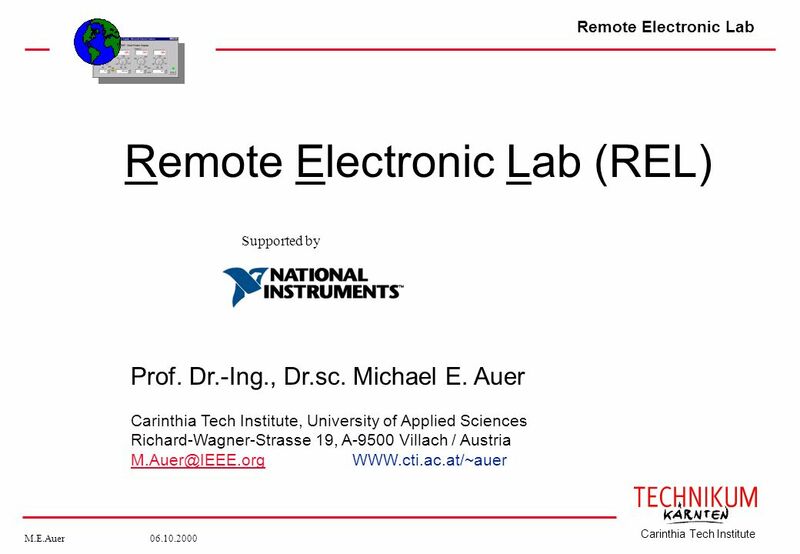 Remote labs provide extended access to expensive and/or highly specialized devices. Unlike simulations remote labs provide real lab experience. 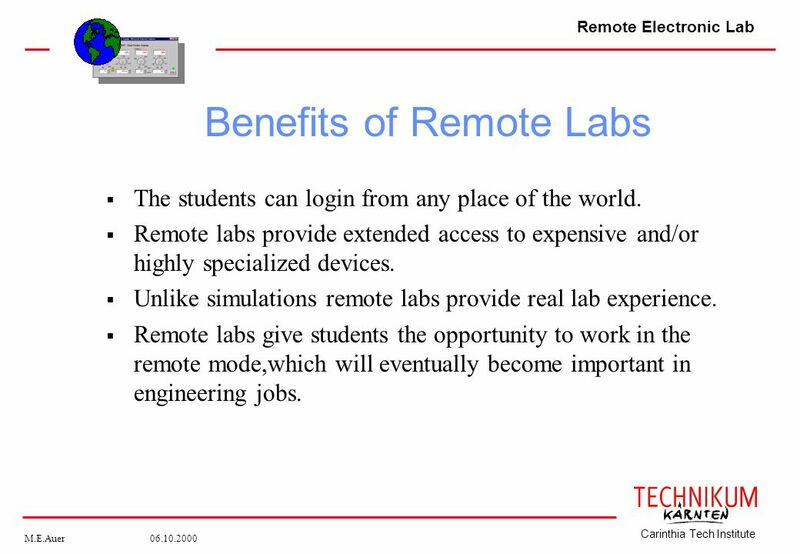 Remote labs give students the opportunity to work in the remote mode,which will eventually become important in engineering jobs. 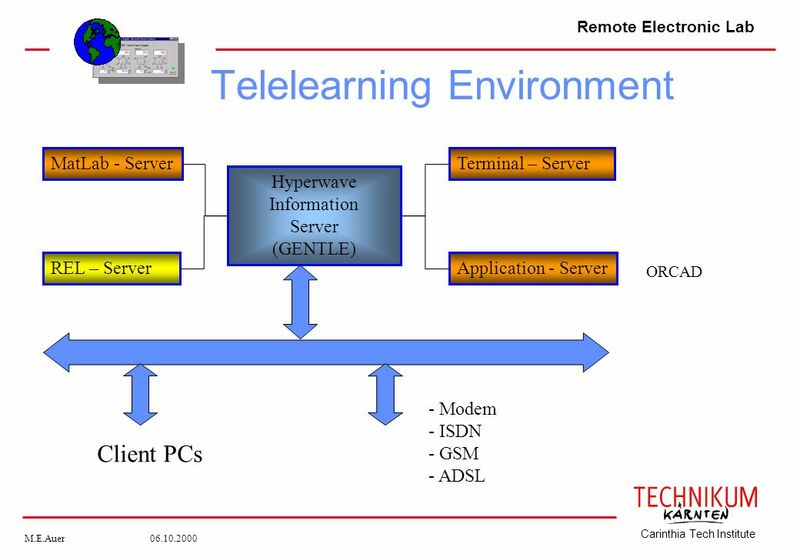 7 Basic Requirements An integration in the existing telelearning system should be possible. 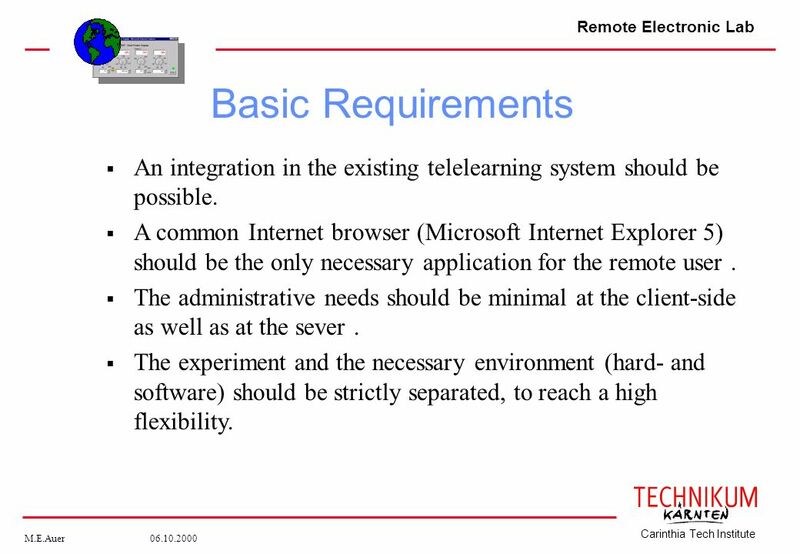 A common Internet browser (Microsoft Internet Explorer 5) should be the only necessary application for the remote user . The administrative needs should be minimal at the client-side as well as at the sever . The experiment and the necessary environment (hard- and software) should be strictly separated, to reach a high flexibility. Neue Experimente bzw. Meßaufgaben können ohne Detailkenntnisse des Systems erstellt werden, wodurch auch eine Anwendung in anderen Einsatzfällen leicht möglich ist . Expensive and complex instruments can be used from different locations of a company. 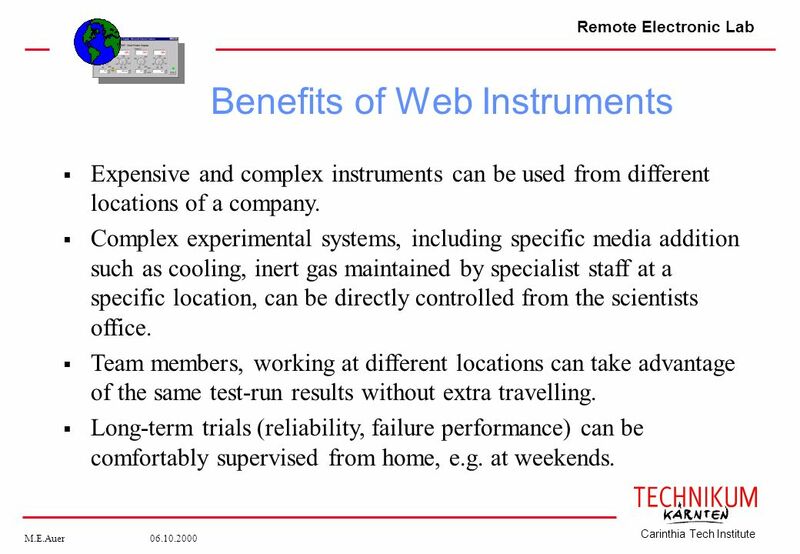 Complex experimental systems, including specific media addition such as cooling, inert gas maintained by specialist staff at a specific location, can be directly controlled from the scientists office. Team members, working at different locations can take advantage of the same test-run results without extra travelling. 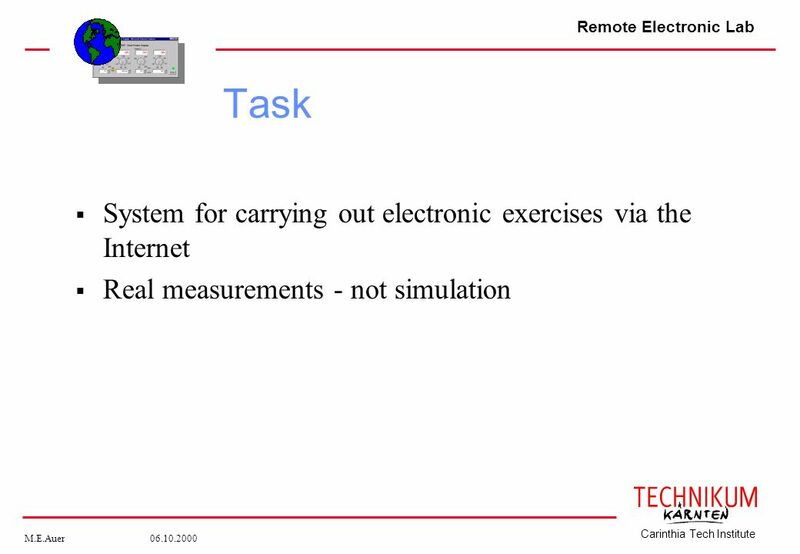 Long-term trials (reliability, failure performance) can be comfortably supervised from home, e.g. at weekends. Teuere und komplizierte Instrumente, können von verschiedenen Standorten eines Unternehmens aus genutzt werden. Komplizierte Versuchsaufbauten u.U. noch mit speziellen Medienzuführungen (Kühlung, Schutzgas, ...) können einerseits zentral von Fachpersonal gewartet und in Betrieb gehalten werden andererseits direkt vom Arbeitsplatz des Entwicklers genutzt werden. Die Versuchsergebnisse können im Team genutzt werden, ohne dass Reisen notwendig sind, wenn die Team-Mitglieder an verschiedenen Standorten arbeiten Langzeitversuche (Zuverlässigkeit, Ausfallverhalten, ...) können bequem auch von zuhause aus und an Wochenenden überwacht werden. 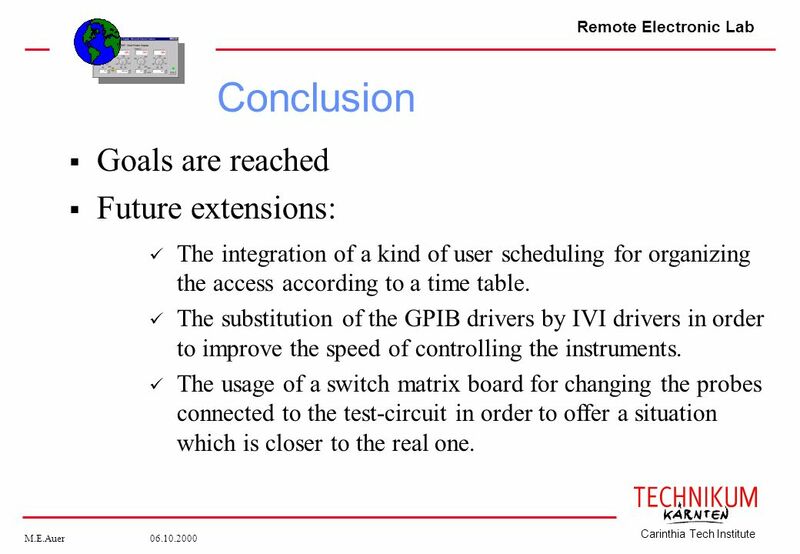 Download ppt "Remote Electronic Lab (REL)"
Towards Ubiquitous EWS-based Network Management Hong-Taek Ju and James Won-Ki Hong DP&NM Lab. Dept. of Computer Science and Engineering POSTECH, Pohang. ControlSphere is a computer security and automation solution designed to protect user data and automate most of authentication tasks for the user at work. 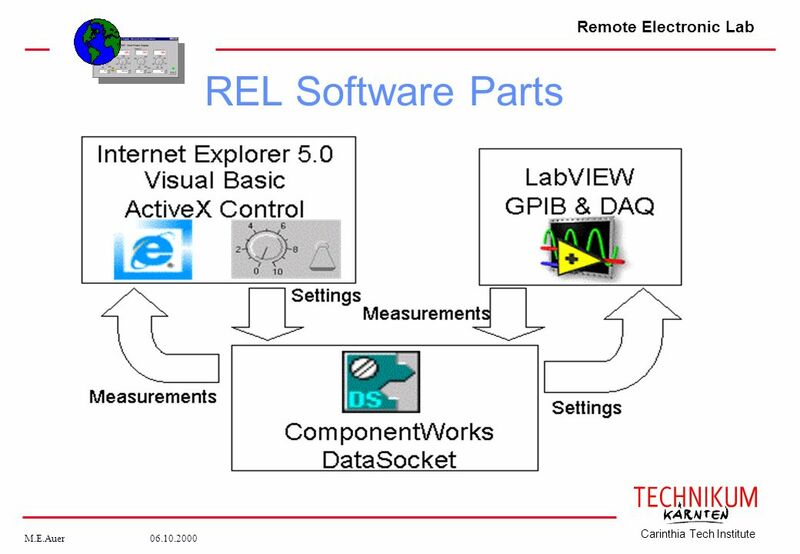 DESIGN AND IMPLEMENTATION OF SOFTWARE COMPONENTS FOR A REMOTE LABORATORY J. Fernandez, J. Crespo, R. Barber, J. Carretero University Carlos III of Madrid. A LabVIEW-based soundcard interface for e-laboratory Ţepelea Laviniu 1, Gavriluţ Ioan 1, Neamţu Ovidiu 1, Gergely Eugen 1, Gacsádi Alexandru 1 1 University. 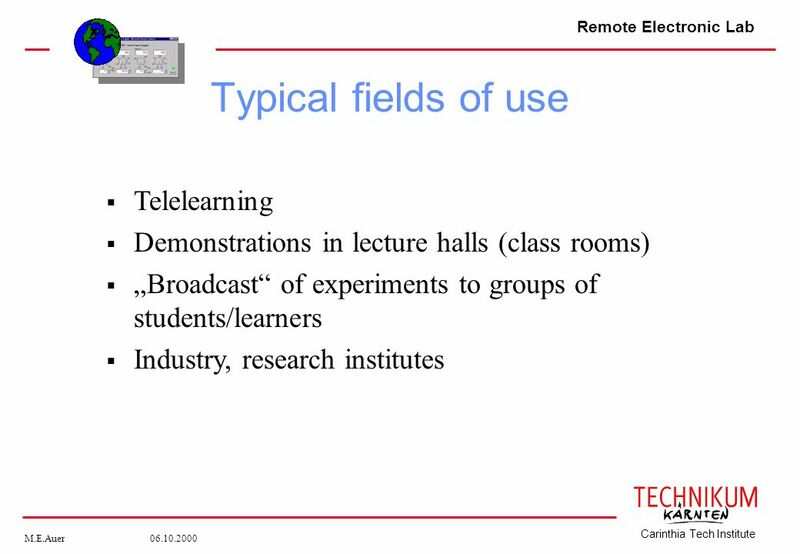 Laboratory Remote Operation: Features and Opportunities Jim Henry, Ph.D., P.E. College of Engineering and Computer Science University of Tennessee at Chattanooga. 24 Hours, 7 Days Lab Experiments Access on the Web All the Time Jim Henry, Ph.D., P.E. College of Engineering and Computer Science University of Tennessee. 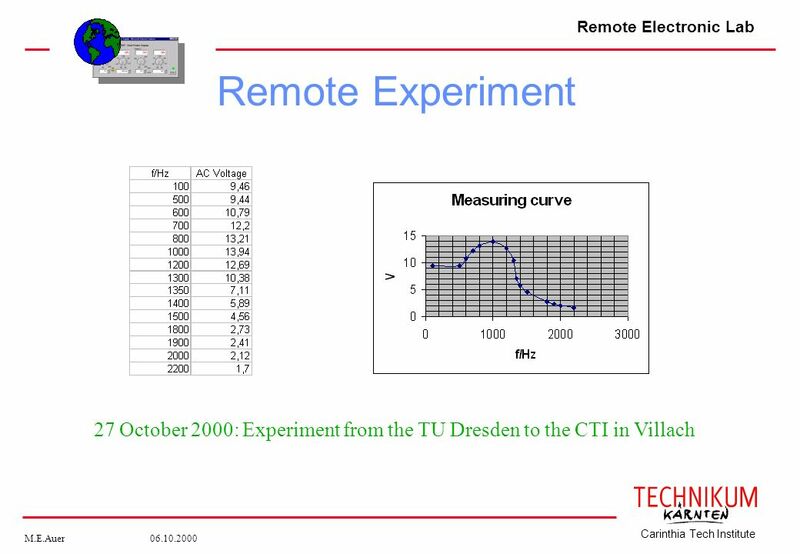 Using the Modern Ch E Laboratory at a Distance Jim Henry, Ph.D., P.E. College of Engineering and Computer Science University of Tennessee at Chattanooga. 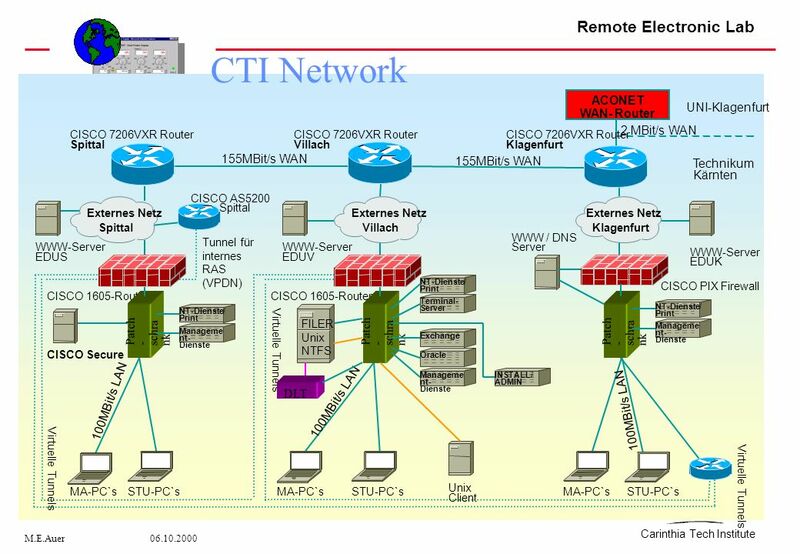 Virtual Meetings Increasing Collaboration While Reducing Costs and Ensuring Business Continuity Ram Narayanaswamy CTO 8x8, Inc.
MCTS Guide to Microsoft Windows Server 2008 Network Infrastructure Configuration Chapter 8 Introduction to Printers in a Windows Server 2008 Network. Improving Laboratories with Internet Controlled Equipment and Internet Student Support Jim Henry, Ph.D., P.E. Charles Knight, Ph.D., P.E. College of Engineering. Computer Based Instrumentation: Hands-On and Remote Operation Masoud Naghedolfeizi, Ph.D, Fort Valley State University Jim Henry, Ph.D., P.E. University. Thin Client vs. Desktop Advantages and Disadvantages of Operating System Environments.